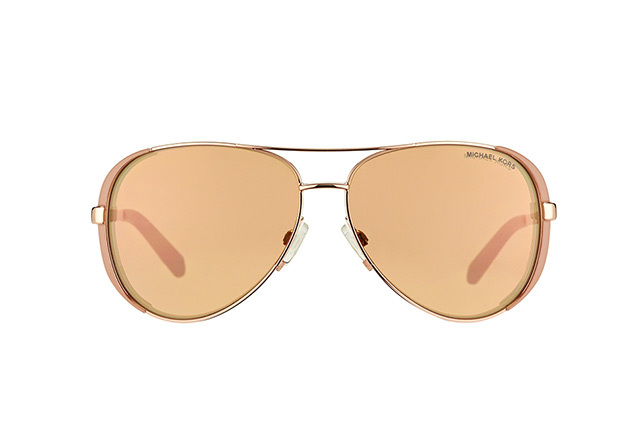 If you want something a little different for a holiday, or just for summer, these Michael Kors MK 5004 1017R1 sunglasses will be just the thing. 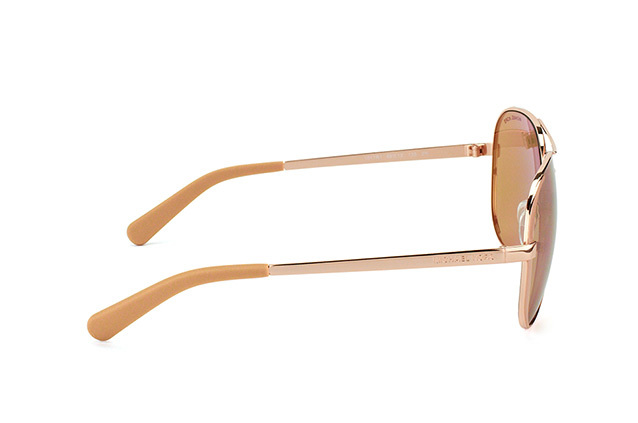 These cool women's sunglasses offer a touch of glamour thanks to their elegant combination of pink and rose gold hues. 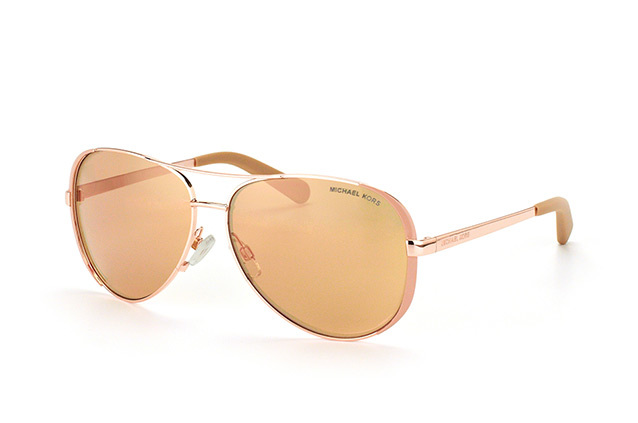 The rose gold tinted lenses have a UV 400 filter to ensure that your eyes are protected. They also have a mirror effect for added cool. The metal frames are the perfect shade of pink, and feel wonderfully light weight to wear. When you order a pair of sunglasses from Mister Spex, you can be sure of a quick delivery. We use DHL, which is not only very fast, it also enables you to track your order every step of the way. And if you place your order before 2pm, we will ship it out to you that very same day. We also have a hassle free returns policy: you have up to 30 days after buying your sunglasses to return them to us free of charge.